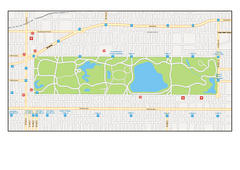 Official MTA map of the NYC subway system... note not drawn to scale. 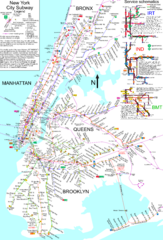 Unofficial subway map of New York City. 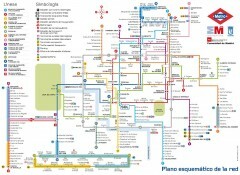 Created by SPUI. 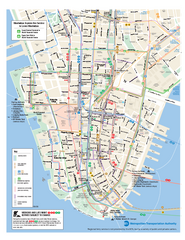 Official MTA map of subway, bus, and ferry routes in Lower Manhattan. 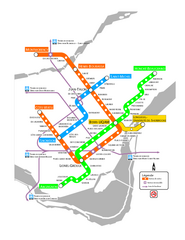 Official RT/subway map of the Toronto Transit Commission. 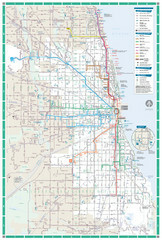 Map of Chicago Transit circa 1957. 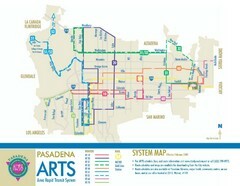 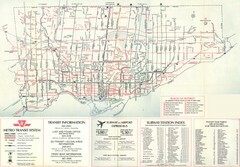 Includes roads, some buildings and detailed transit information. 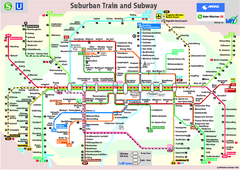 City street map of the metro Edmonton area in Alberta. 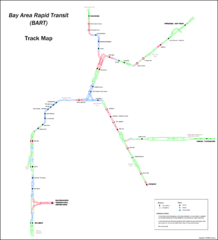 Map of Bay Area Rapid Transit (BART) tracks. 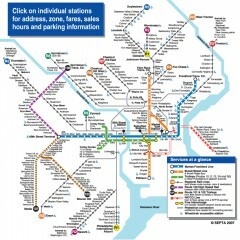 Includes all train stops and details about the tracks. 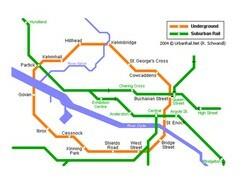 The London Underground Zone 1 geographically overlaid on city streets. 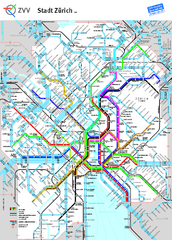 Official map of the Paris metro. 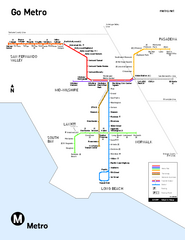 "Le grand classique de la RATP"
Map marking rails, stops and more. 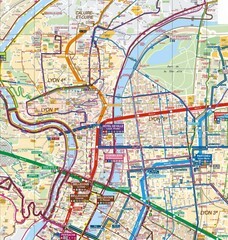 Street map of Lyon, France. 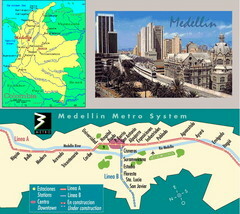 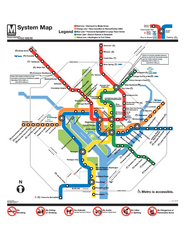 Shows metro lines. 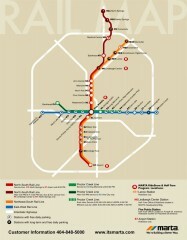 Metro map of the Barcelona, Spain integrated railway network. 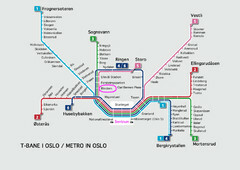 Official metro map from ZVV. 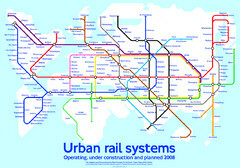 Shows lines in central Zurich, Switzerland.